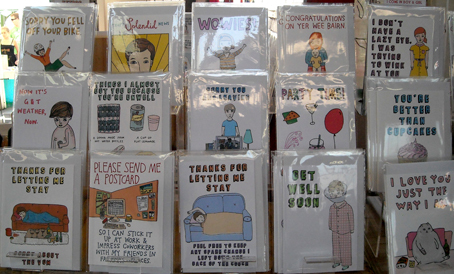 I loved Able and Game's stall at the Rose Street Market. 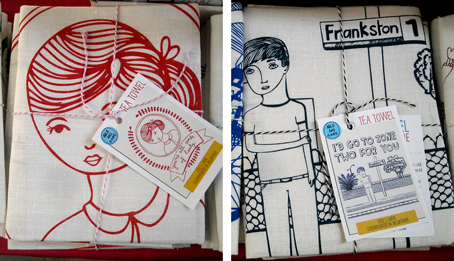 They are a Melbourne based bunch who make delightful cards and linen tea-towels. Love these, want the red girl! See what I mean about Frankston?